Impatient to hear what this thing would sound like, I had a ‘hoke’ through my garage to find a suitable box to put it in for testing. The only thing I could find was an old die-cast box which once held a radar sensor from a burglar alarm I had built years before. It had been part of a system I had installed in a local shop but this one had been zapped by a lightning strike and had been replaced! It didn’t work at first but, after fixing a bad solder joint , success!! We got echos, lots of lovely echos and the tone of the guitar seemed to be improved too. 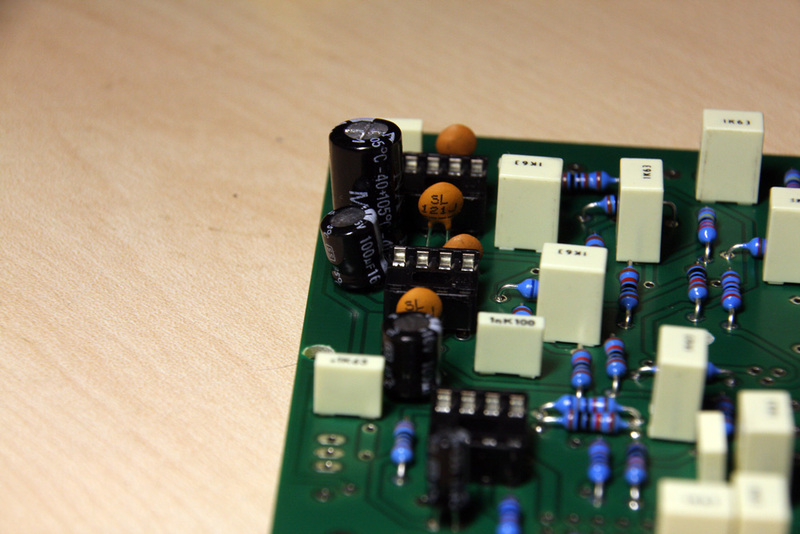 Piet has included the fetzervalve circuit in the pre-amp stage so that seems to have improved the tone. It won’t win any prizes for good looks! The edge switch is stuck on the side with duck tape. This entry was posted in Hardware on February 28, 2013 by guitarphil. 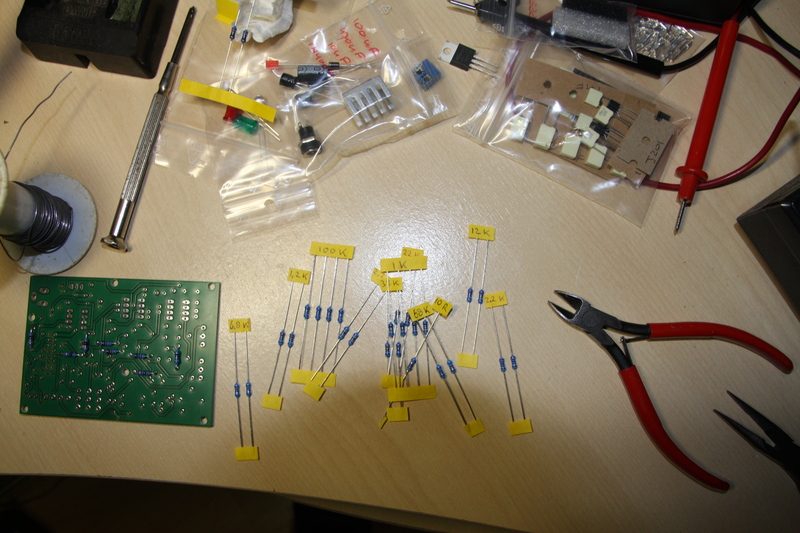 All resistors and DIL sockets are in. Now to add the film and ceramic capacitors. 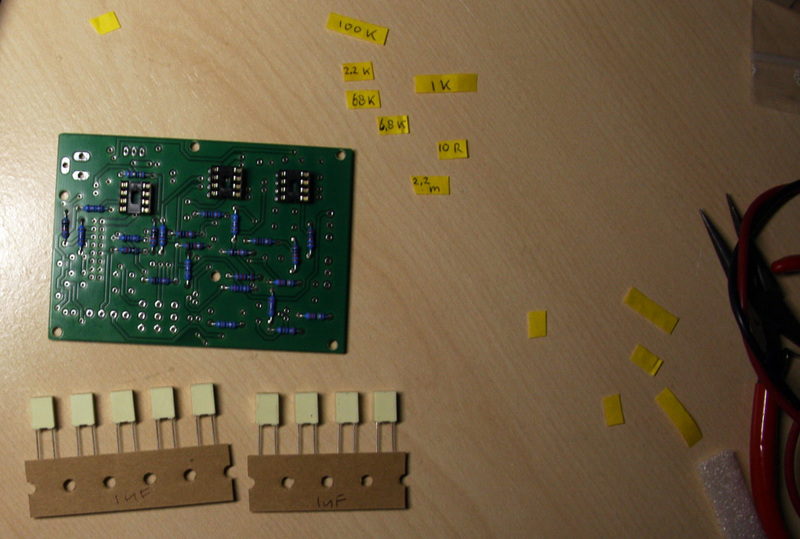 All the major components are now soldered onto the board. The 9V regulator, the 16 pin header for the FV-1 board and some solder pins need to go in. The 100uF elco was a slightly tight fit against the adjacent DIL socket. Take care not to force it! This entry was posted in Hardware on February 27, 2013 by guitarphil. 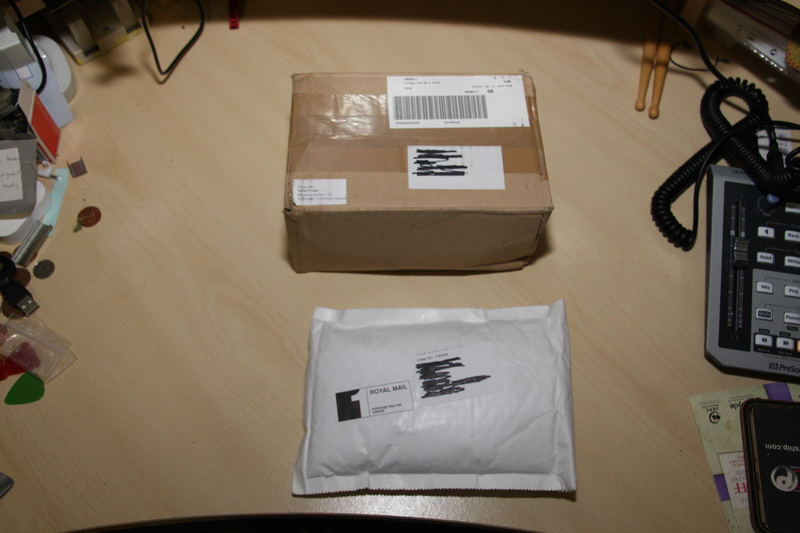 The kits arrived! 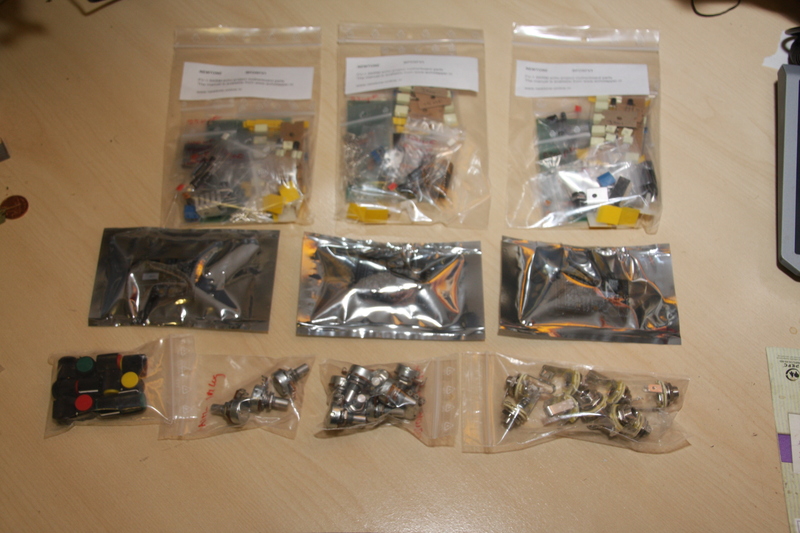 I bought three eTap2Hw kits and additional parts from Newtone.nl – one for me and two for friends to build. 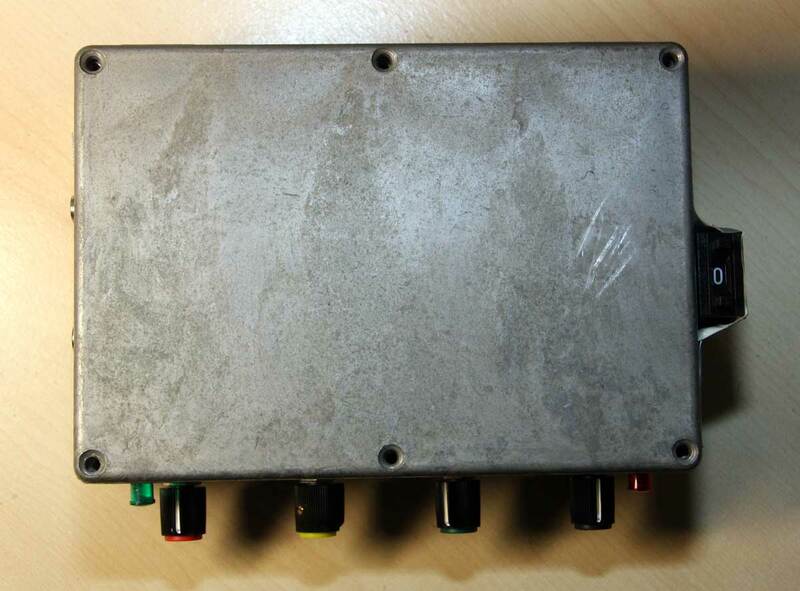 The kits consist of a small ‘daughterboard’ containing a DSP circuit and a motherboard to mount this on with support components. The DSP coding is by my friend Piet Verbruggen and he also designed the motherboard. He calls his system the eTap2HW. 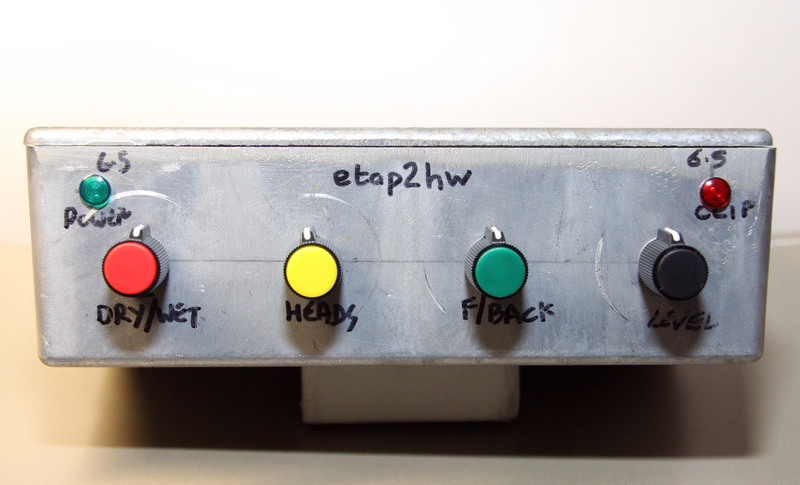 ‘eTap’ means echo tapper because it is based on the multi-head or multi-tap tape echos from the 60’s and ‘HW’ because it is a hardware implementation of a software plug-in Piet developed some years back. 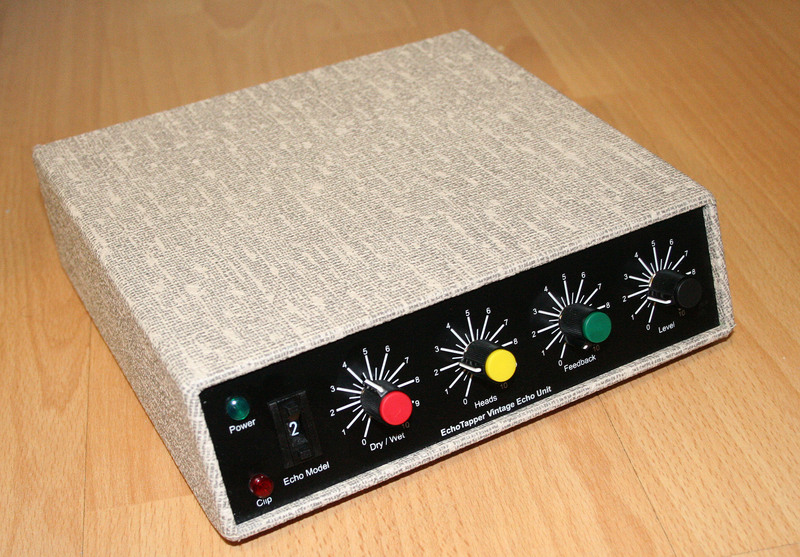 The box from Newtone with the three kits plus pots, knobs etc. and the package of BCD edge switches from Rapid Electronics. Most of the parts (clear packs) go on a Motherboard and the echo is done by a FV-1 DSP chip from Spin Semiconductors on a daughter-board by OCT. The pots, jack sockets and knobs are NOT included in the kit. 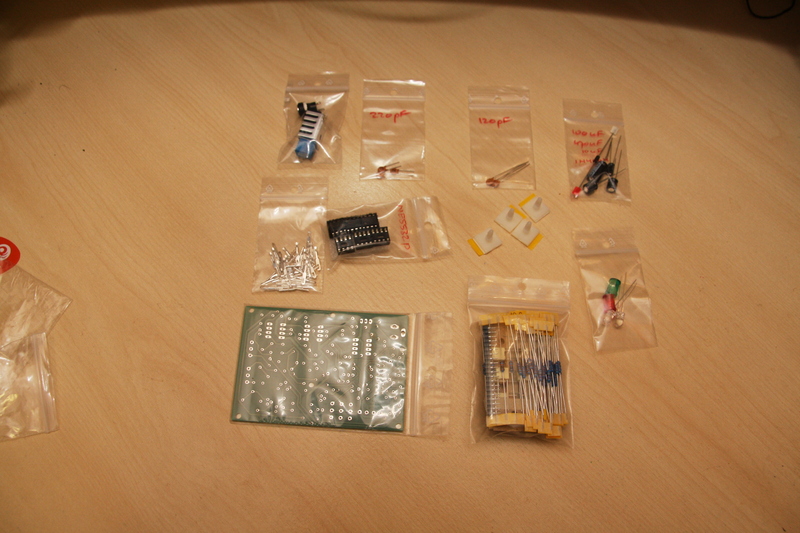 The kit to build the motherboard. 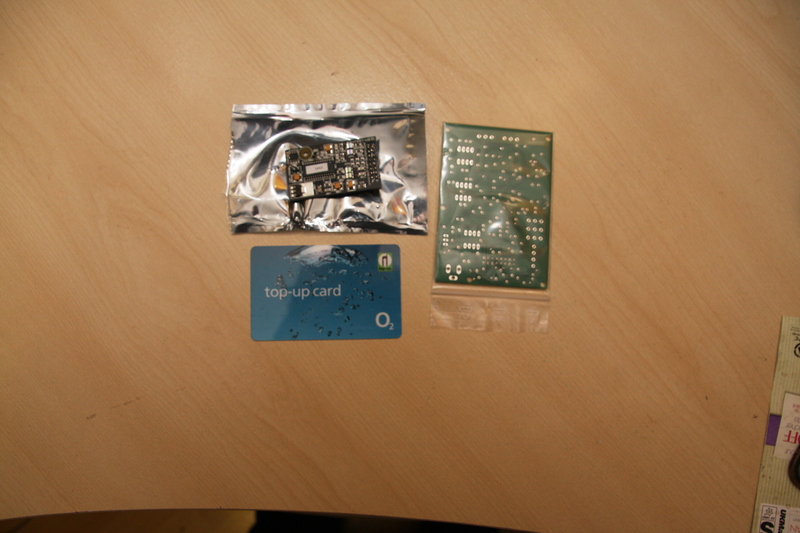 The daughter-board out of its anti-static bag with the motherboard PCB and a credit card for size – the boards are pretty small! 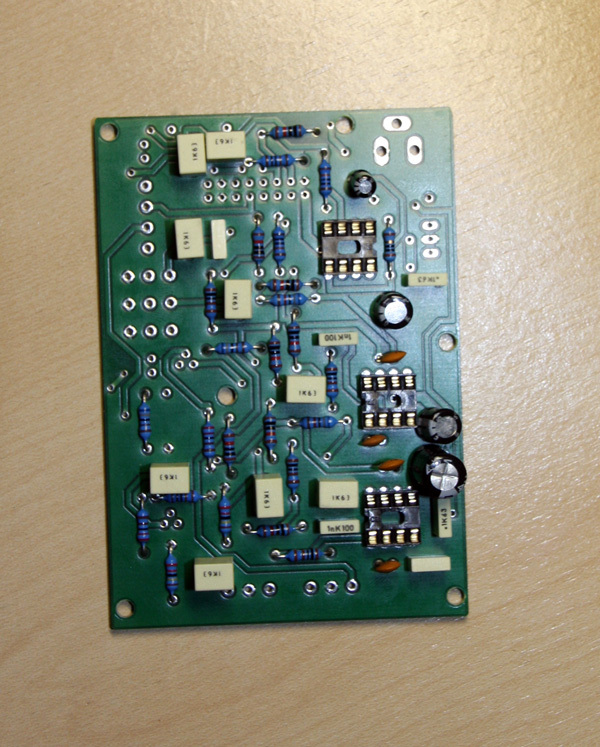 This entry was posted in FET, Hardware and tagged eTap2hw, kit on February 27, 2013 by guitarphil. This YouTube video demonstrates some of the built-in Presets. This entry was posted in Video and tagged Echo, Guitar, technology, video, youtube video on February 27, 2013 by guitarphil. I ended up building two units. My prototype has ended up in a nice vintage looking Tolex covered wooden enclosure after I spent the last couple of months adding automation features to the basic echo circuitry. 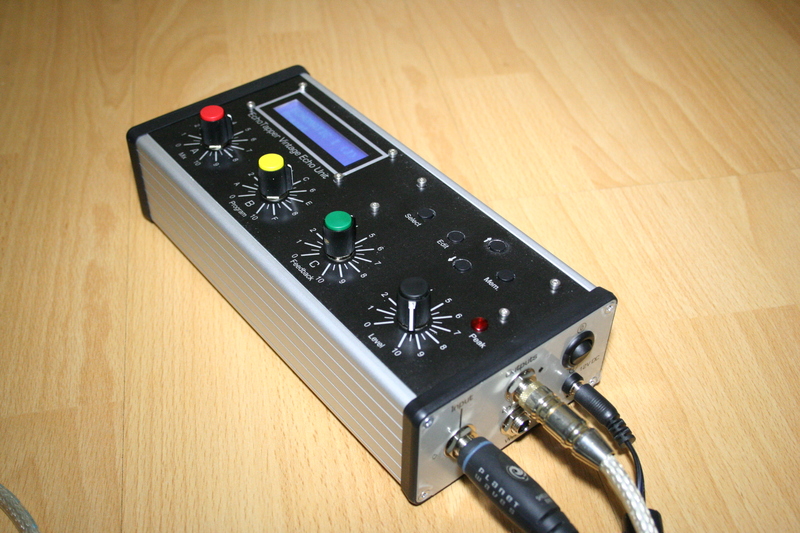 The automation version uses an Arduino Uno, a Adafruit I2C LCD and an interface shield to connect the various bits together in a nice Hammond enclosure. 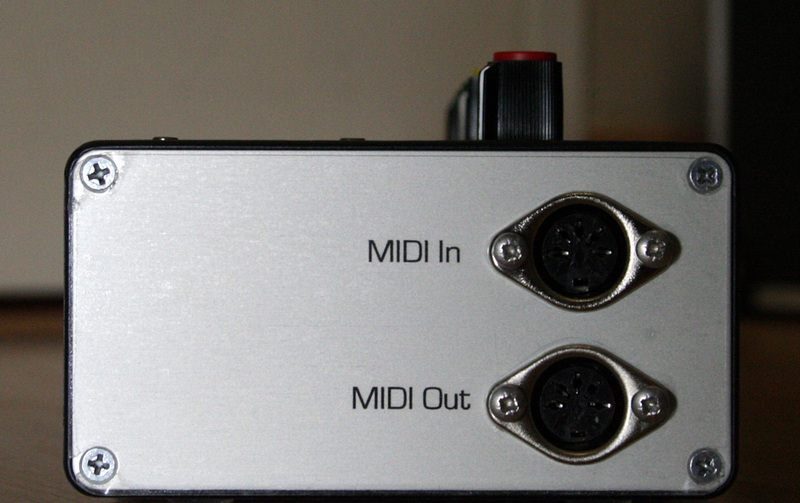 The most recent addition, and hopefully the last piece of hardware to be incorporated, is a small interface board with MIDI In and MIDI out ports. It’s recently had MIDI added to it! 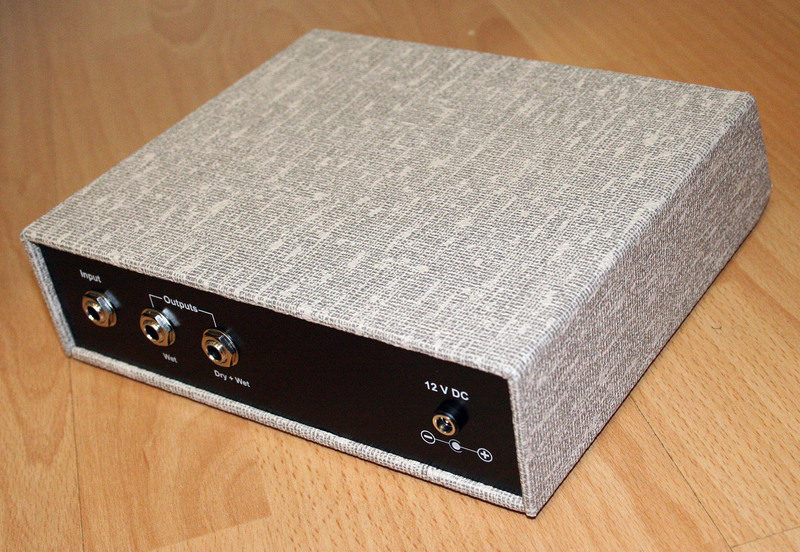 The manual unit, front view – it has a real vintage vibe with the tan coloured Vox Tolex. 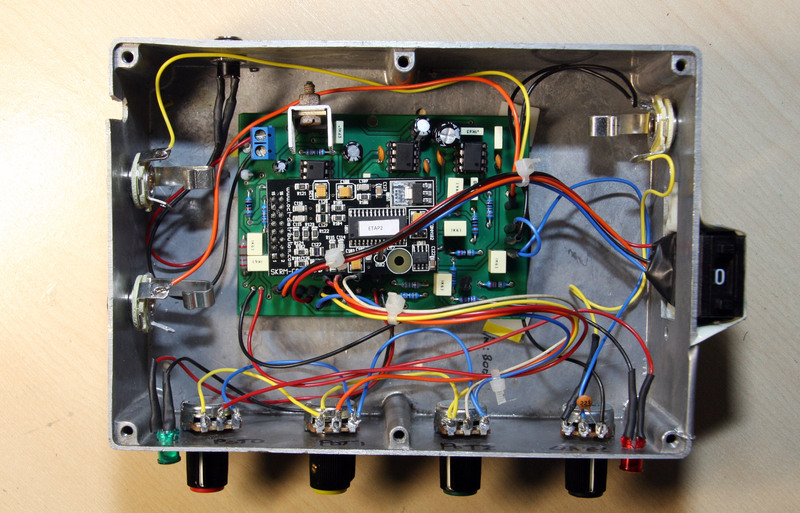 This entry was posted in Hardware and tagged Echo, Guitar, technology on February 27, 2013 by guitarphil.